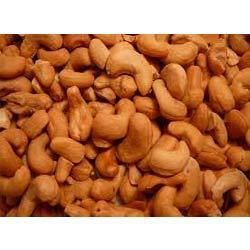 Manufacturer of a wide range of products which include fried cashew. Owing to our expertise in this domain, we are engaged in supplying superior quality Fried Cashews. These are made using high quality nutrients, which are sourced from trusted vendors. Appreciated for its rich nutritional value with availability of proteins and adequate fats, our range is full of vitamins and easily digestible. We deliver them to clients in safe and attractive packing at reasonable rates. Our ranges are well known for its features like rich in taste and aroma and are widely used in many Indian food dishes. These are available in hygienic packs for retaining their freshness and aroma. Clients can obtain these at cost effective prices. Looking for Fried Cashew ?